Download the October 2018 Newsletter for all the latest news! 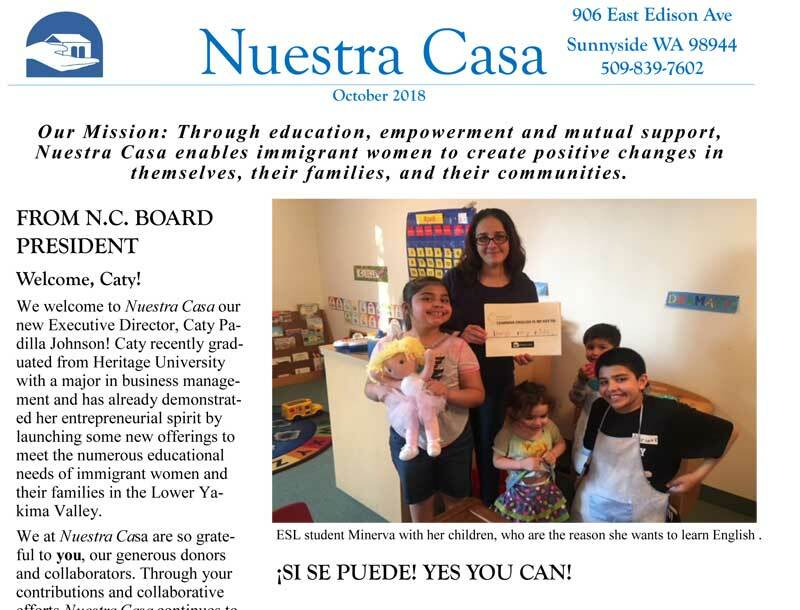 © Copyright 2018-2019 - Nuestra Casa, Sunnyside, Washington | All Rights Reserved. | Where immigrant women make positive changes for themselves and their families.